King Richard exiles Henry Bolingbroke and seizes his father's vast estates to rule by divine right but Bolingbroke returns to England during an Irish rebellion to recover his rightful property in Shakespeare's history play about the thirst for power. Simon Godwin directs award winning actor Charles Edwards - who most recently starred in Blithe Spirit opposite Angela Lansbury - in the demanding title role. 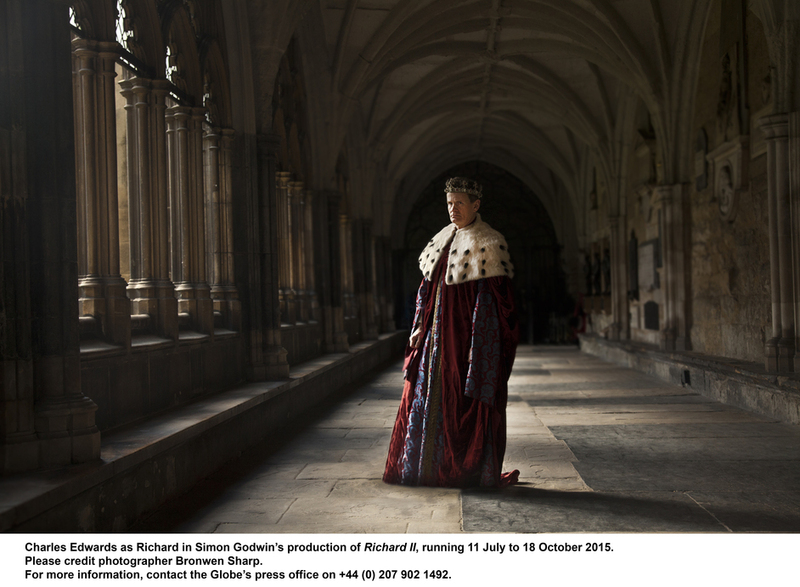 Richard II Photographer: Bronwen Sharp (c) The Shakespeare Globe Trust, London 2015. From cheap budget hotels to luxury 5 star hotels see our special offers for Shakespeare's Globe Theatre hotels, including Holiday Inn Express London Southwark from 76% off.